The way in which we wear clothing changes over time and with it our view of what we own does as well. 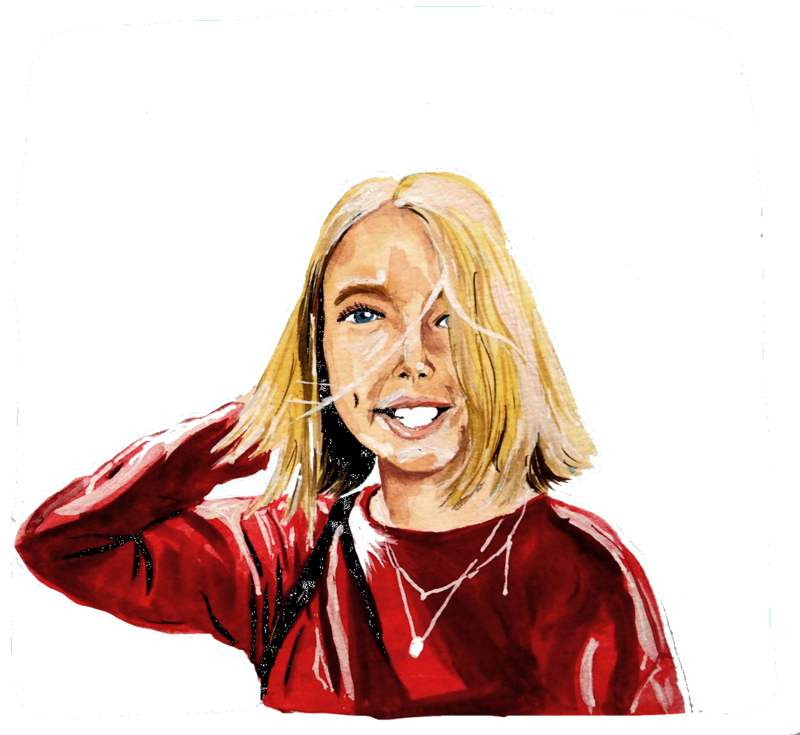 Increasingly evident among teenagers, my own style evolving dramatically over the past few years, and it can be hard to retain a sustainable mindset with the clothes that we already own. Last week, on one of the last days of the blissful summer holidays, my mum, grandma and I went to our local town; fatefully stumbling on a vintage and antiques fair. Next year when I embark on all my buying for university I’ll definitely return to see what goods I can bargain for because there’s always something cosier about an item that already has a story and I think it will make me feel more at home. One of the vintage clothes stalls, Monis-Londres, had a box of faux silk scarves and after seeing Dalal wear one agessss ago for her last day of college I fell in love with the look. Silk scarves a pretty versatile item and it made me think about how we can make the most of certain items in our wardrobe and ways in which one piece of clothing can become multiple without spending a penny. It was Edie who wrote a post about how to turn a silk scarf into a top that probably first instilled a desire to buy on in my mind last year so I’m surprised to why it has taken me so long to actually purchase. It does however mean that I will no longer just be rummaging through charity shops to find the latest bargain buys but I will also be trying to accrue a excessively large collection of scarves that are both versatile, gorgeous and perfect to change up a plain outfit (because we know I’ve got a lot of those). In a college where anything goes I could walk in with a silk scarf as a top but I think I’ll save that for the summer days lazing by the beach, I don’t think the scarf will be leaving my head anytime soon. 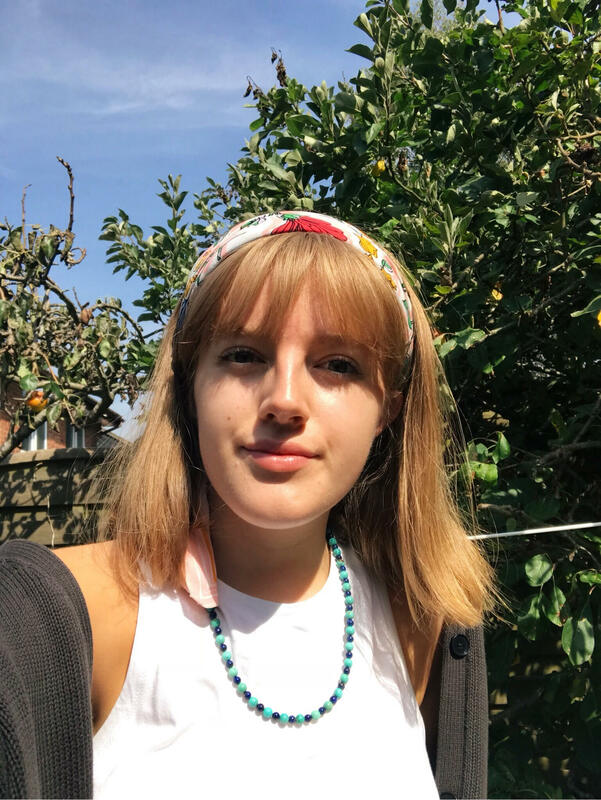 Edie’s post is super helpful if you do want to turn your scarf into a top and if you do so happen to be experiencing the last of the summer sun then I think it is such a great idea to make the most of an item already in your wardrobe without having to buy a new bandeau. It also happens to be very convenient for festival attire if you’re in need of inspiration. Now that college has started and the laziness of deciding what to wear has set in, a scarf is the perfect accessory to suggest that I’ve made an effort. 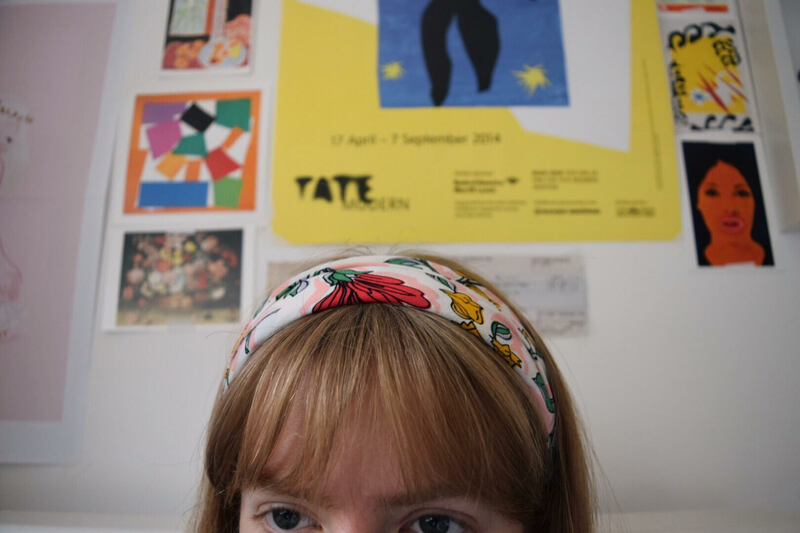 A lot of the time I tie my hair up just to get it out of my face (I say that as I now have a fringe that I have no choice but to let flop onto my face) and I think a scarf will make a nice change to the scrunchie that I always seem to wear. In my research for ways to suggest how to wear a silk scarf, the first google result was ‘how to wear a silk scarf 15 ways‘ so when I say it is one of the most sustainable new purchases I could have bought, that really is true. I then took to watching multiple youtube videos on the subject of silk scarves and the best I came across had to be from the Showpo Channel – I’m not sure how a video on scarves can be funny but somehow the lady filming it was a fantastic orator and I came away from the video with lots of inspiration about how to wear a scarf. 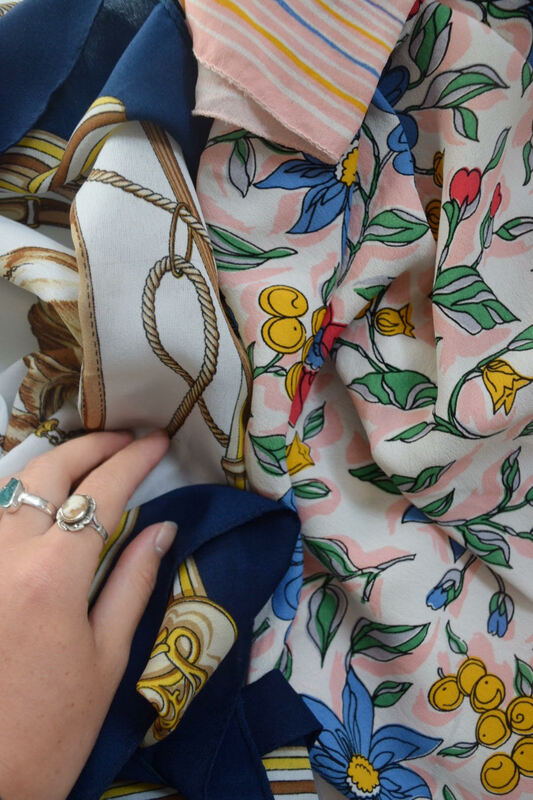 Naturally, the fabric and origin do come into play with how sustainable and ethical something might be but there are plenty of charity shops and vintage stores that sell silk scarves so I don’t think that it is a huge issue. The two that I bought are both man-made fibres of polyester and I wouldn’t really feel comfortable wearing an actual silk scarf, although I’m still in two minds about buying animal fibres second hand. On Instagram, I also stumbled across a shop called Wilful North that sell silk scarves as well if you didn’t want to buy anything second hand. 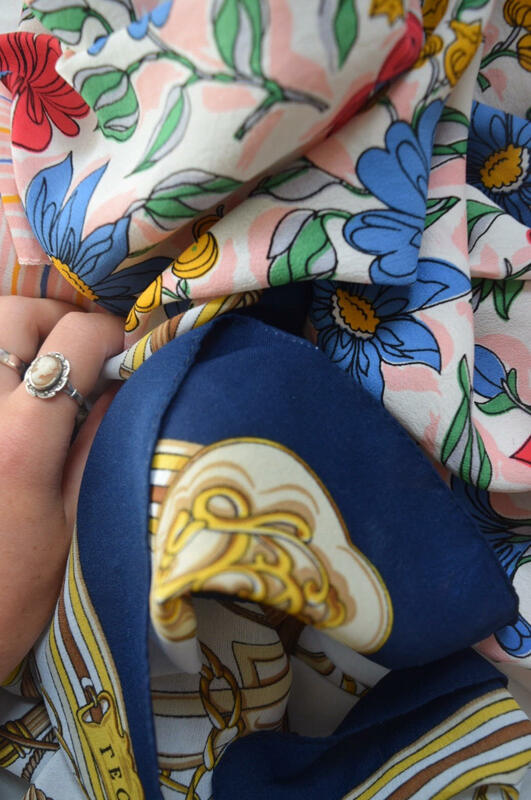 Are you a fan of the silk scarf and do you already own any? If so I would love to know how you use it! ps. let me know what fashion posts you’d like to see on Eleanor Claudie, I’m thinking of doing an ethical Q+A soon and also a guide to buying ethical clothing on a budget but I am always taking more suggestions. 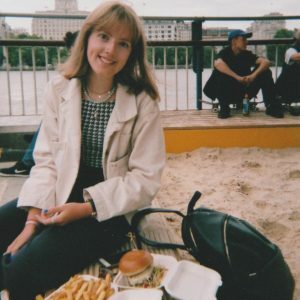 This term is going to be incredibly hectic with coursework for English and History, applying to university and I can’t ignore the fact I also take French A level so my blog my subside a bit but I’m always there on Instagram and my other social medias even if I’m not uploading every week on here. This is such a pretty scarf and suits you so well! I have bought a couple from vintage kilo sales which is great because they weigh nothing so are only like 30p!! I love tying scarfs on my bag and I’ve started putting them in my hair!! I loved the post you linked on how to wear them as a top, very inspiring!! We have the same scarf with that nautical inspired print OMG *Your last photo the scarf on the left* I don’t think the one I have is a pure silk scarf but I have been curious about it especially after my trip to Turkey last July. The only problem is I visited a carpet factory where they produce silk handwoven carpets and showed how their process. I should say it is not Ethical which is why I am quite skeptical in purchasing items that are not ethically produced, you can see a short clip of it in my blog post about Cappadocia. PS. 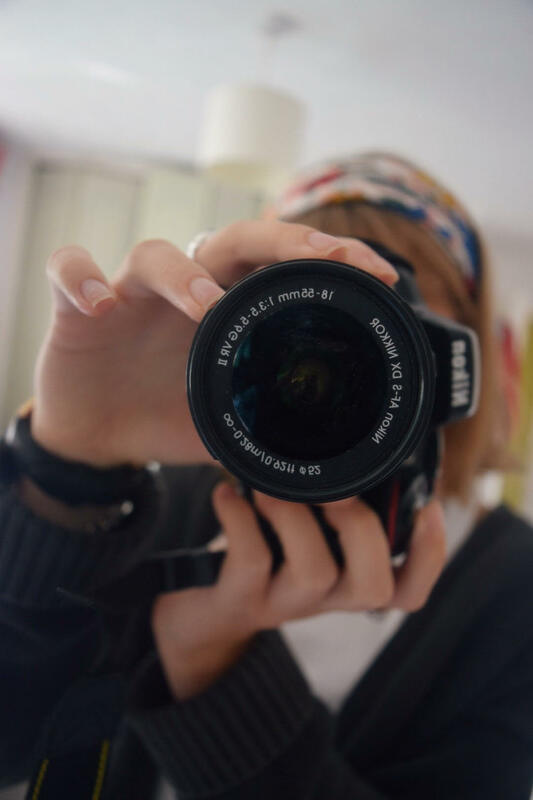 your photo’s are amazing and I can’t believe that those bokeh looks stunning even though you are using a kit lens. So I see you’ve stumbled on my blog! 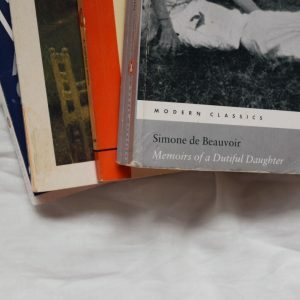 I try not to ramble too much but I have a passion for ethical fashion, travel and french literature. If you want to read more, there’s more about my blog on the ‘about me‘ page.